Please note that Castle Eden Parish Council do not endorse any of the businesses on this page. 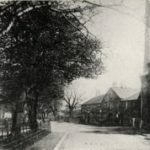 The village is home to a number of businesses, this page provides a guide to them and links for you to get further information. This delightful holiday park is located adjacent to the A19 junction. Further information is available by contacting the Park at the address below or take a look at the Castle Eden Holiday Park website. Further information to be updated as soon as possible. A lively place to meet friends for a friendly drink or good food. The head chef is a previous Masterchef Finalist, David Coulson and the Inn has won a number of awards. 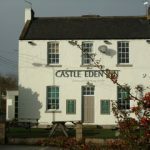 Take a look at the Castle Eden Inn website for details. We are a specialist footwear supplier, dedicated to providing excellent value for money and unbeatable service to primary and secondary schools across the UK. WF international are suppliers of quality footwear to many of the worlds best-known high street and mail order names. With almost 30 years experience within the footwear industry, we are firmly established as a premier supplier of footwear in the UK. A network of International offices allows us to offer clients the full package from concept to production and distribution. To improve the productivity and professionalism of your staff, enhance service, increase sales and save on costs, we offer specialist training and qualifications across all sectors at locations around the globe. Tarining Synergy was founded on the belief that today’s organisations want to work with a partner that understands their business and help them to successfully implement critical business change. Organisations also want to rationalise their supply lines and need their learning provided to not only perform well – continually increasing the value of service and helping them keep pace with changes in technology – but also remain conscious of budgets and competitive pressures, always delivering the best value at a keen price. More than anything else, Training Synergy works hard to create real and lasting partnerships and is especially adept at working closely with customers to deliver outstanding interventions whether for a one off course or an organisational change programme across several countries. We have developed a talented pool of learning professionals, with a huge range of skills and background in design, delivery and project management, so we can rapidly deploy highly experiences teams to match our clients’ needs. Aligned to this is an extensive network of training resources – including rooms, equipment, online tools and off the shelf e-learning, a training helpdesk and scheduling software. We are currently supporting major multi-lingual learning projects over 20 countries worldwide. Contact Details: Telephone 0800 072 9844 or Email enquiries@trainingsynergy.com. We have offices here and in London. Oakes Energy Services are the leading renewable energy company in the North East. Through design, supply and installation of top quality products, we can offer you the means to significantly reduce your energy costs, as well as your carbon footprint. Using our extensive range of services, we are able to provide a bespoke energy system, to suit your budget and property. As well as introduce alternative energy sources to your home, we can integrate existing energy sources and renewable ones. For example gas boilers, wood burning stoves and solar panels. Contact us by email at jason@oakesenergy.co.uk. 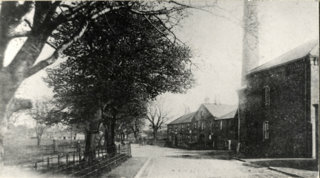 When the Brewery site at Castle Eden was redeveloped several years ago, some of the original brewery buildings were retained and converted into living and business accommodation. 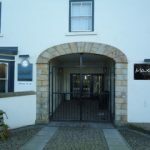 The offices have been carefully converted into The Old Brewery Business centre which is home to a number of small businesses and an Italian restaurant called Maximos. 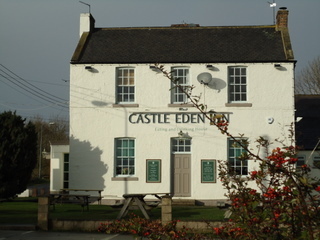 The centre is located on the Stockton Road close to the junction with the A19 and is opposite the Castle Eden Golf Club. 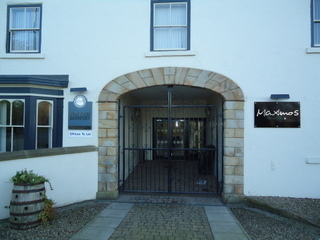 View the Old Brewery website or view Maximos website for information about the restaurant. With experience in commercial, health, education, residential and conservation work. Beaumont Brown will undertake projects from small extensions to large developments and can run the whole project or provide partial support. Beaumont Brown also provide an informal service at the start of a project with no obligation. Contact details can be found on Beaumont Brown Architects website. The practice can deliver many services including fixed fee service. topographical surveys, interior design, computer 3d modelling and visualising and project modelling. Kane have almost 30 years experience in providing a dedicated customer oriented personal service. Further information can be found on Kane Architectural Services website.